Many stocks can benefit from a decline in commodity prices. 2. Do Utilities Stocks Perform Well During Inflationary Periods? Many companies can benefit from a decline in commodity prices. Industries that have expenses that are related to movements in commodity prices can directly benefit if their input costs decline. Transportation companies, chemical companies and animal feed companies are a few examples of sectors that can benefit from a drop in commodity prices. A commodity is a physical product that is a basic good and is interchangeable with other commodities that are the same type. 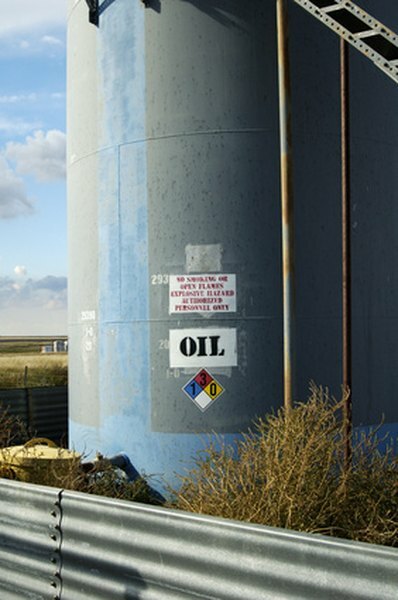 An example of a commodity is crude oil, which has a standardized measurement of sulfur and gravity that can be delivered in most locations globally. Commodities are generally traded on a physical basis or within the futures market. A futures contract is the obligation to buy/sell a commodity at a specific price in the future. Futures are regulated products traded on clearing exchanges. Energy costs are the largest expenses generated by transportation companies. Airlines, shipment and rail companies need to use some form of commodity that produces energy to operate their businesses. Airlines use jet fuel, and there is no way to avoid these costs while running a successful airline business. When jet fuel prices fall, airlines generally do not pass on the savings to customers, so they benefit from any drop in commodity prices. Chemical companies use a number of commodities such as petroleum and natural gas to generate returns. These commodities are used directly in the production of chemicals. When petroleum and natural gas prices fall, the declines usually do not spill over into chemical prices, which allows chemical companies to expand their margins. Companies that produce animal feed use commodities such as soybeans and soybean meal to make animal feed. Soybean prices are highly correlated to weather and precipitation and can fluctuate with tremendous volatility. High soybean yields bring soybean meal prices down, which allows animal feed producers to expand their margins.